HSI Security Systems installs, maintains and monitors electronic life-safety systems throughout Northwest Oregon and Southwest Washington. 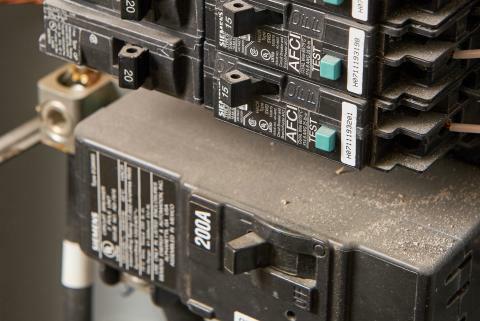 We're an electrical contractor that specializes in low voltage systems and rudimentary electrical controls. This is our 26th year in business and we have six employees. Our customer base is 65 percent high-end residential and 35 percent commercial. We interface with automation and enterprise systems, e.g. access control, fire, intrusion, emergency call, and process monitoring, as well as circuit controls that control a circuit by either event or schedule. Most of the panels we install have a built-in programmable controller. Our primary products are Bosch fire, intrusion and access control panels and SafeCom long-range radios. (We are Bosch Certified). Our SafeCom radios allow us to monitor various fire alarm panels and buildings with high security requirements. 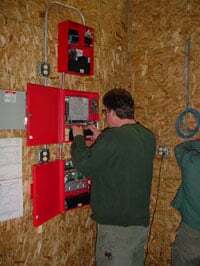 When we monitor a fire alarm, we also maintain it. Since some system installations (done by others) are at various levels of quality, troubleshooting can be a challenge. In most cases, As-Built documentation is wishful thinking. A typical system includes a processor, a control or command center, and PC-direct and telephone interfaces, as well as Ethernet/LAN/WAN interfaces, backup batteries, step down transformers, enclosures, notification appliances, and hundreds, if not thousands, of yards of cable, and from 1 to 238 point ID transponders. We also gang together multiple systems to be controlled via work-stations. We use a combination of SDI (serial digital interface) and Zonex or Mux (Bosch generic terms) busses. Our Class 2 and 3 low voltage systems are predominantly either 12 or 24 V dc. Our relays control anywhere from a 10 mA LED to a 400 A shunt trip breaker. The maximum current draw of our panels is 2 A. For anything over that limit, we install auxiliary power supplies. All of our alarm initiating circuits have a finite resistance as the End of Line supervision. We use both on-board points or zones (circuit inputs) as well as off-board. An on-board point is built into the panel. Off-board points reside on one of the data busses. With on-board points, the circuit begins at the panel. With off-board points, the circuit begins at the point ID transponder. The point ID transponder, in turn, resides on the data bus. For each customer, we create a database of electrical references within the manufacturer's specifications. We measure and record the resistance and voltage of all initiation and supervisory circuits. This includes cumulative current draw of the panel. We also measure each unenergized circuit leg to a known ground. This will tell us whether we're ground-fault free. This is within the manufacturer's specifications of ±100 Ω. This circuit is headed for a problem. We also know that each of our point ID transponders imparts 1 Ω of resistance on the data bus. This gives us a reference point as we know the number of point ID transponders on the data bus. Since NEC (and prudence) requires us to ground every panel we install and maintain, we verify a grounding circuit of less than 1.0 Ω resistance to a known electrical ground. We know that electricity takes the path of least resistance and therefore we want to keep a path for unwanted surges as open as possible. Measuring a data bus, or backbone, is a little trickier. I mentioned that a data bus can have up to 238 transponders (point ID modules), each branching out with its own End of Line resistor. Fortunately, each transponder imparts its own resistance on the circuit. If we know the total before starting to troubleshoot, we are in the best position to apply the "divide & conquer" rule. The ability to troubleshoot a circuit has always been an art form; part intuition and part good old-fashioned grunt work. This is where good reference points can make us look like we know what we're doing. If on install or during previous maintenance we had measured and recorded the circuit, then we know what we want to see during troubleshooting. The "divide & conquer" rule can apply to any circuit in trouble. First, we walk the circuit hoping to find physical, or since this is Oregon, water damage. If this fails, we take out our trusty Fluke ohm meters. We know what the EOL resistance should be. If we measure infinite resistance, then we have an open. If we measure zero (or close to it), then we know we have a short. If we have high resistance that is out of the circuit specifications, then we could have a bad device or cable or an impedance problem. Once we know what we're looking for, we can place a resistor of a different value on the panel or transponder end. We now know that if we cut the circuit in the middle we should have X ohms in one direction and Y ohms in the other. The value that does not meet our expectation is the direction to proceed in. We repeat the "divide & conquer" rule until we isolate the cause of our problem. We can also apply the "divide & conquer" rule to a ground fault. If the panel we're troubleshooting is smart enough to tell us we have a ground fault, then we can follow the same method as above, except we measure each leg to a known electrical ground. If you determine the fault is on one leg, you can attach the other leg to the ground and use it as the ground reference as you meter the circuit. Perhaps the most difficult ground fault I ever found was in a tenant space at Bridgeport Village in Portland. 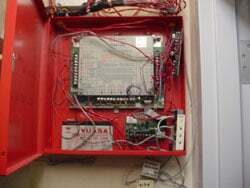 It was an intermittent problem on an addressable fire alarm where the bus had been installed like a spider web. Using my ohm meter on several service calls, I located a concealed splice box where water was dripping down an abandoned MC cable. A few days after a rain, water would seep in the MC cable, drip on the upturned wire nuts in the electrical box, cause a ground fault, then dry up. Another important use of our multimeters is measuring to verify that the sensing element in non-analog, or conventional, smoke detectors is in compliance. We measure the voltage and then apply a multiple to read and record the sensitivity. 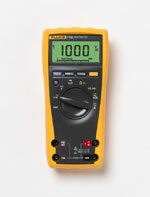 The accuracy of your test equipment is extremely important, especially when measuring small voltages. A good example is conventional smoke detectors. Sensitivity is specified by the manufacturer. We use that specification as a reference point. Bosch's DS284 smoke detector has a specified sensitivity of 3.0% ± 0.9%. This means our sensitivity measurement can be 2.1 to 3.9%. We measure the sensitivity circuit dc voltage and multiply by 2 to find how close we are to the specification. Since we multiply by 2 it means that if our meter is out of calibration by 0.45 V dc we would could skewer your test results. As you can you can see in the smoke detector example above we do not have much leeway in our measuring accuracy. If our measurements are off we could just as easily decertify a device as certify it, when in reality we should not have. Since the old adage of "the higher the technology, the more fragile it is" becomes more true with each innovation our various electrical/electronic industries adopt, we find our meters and documentation to be crucial to our success. 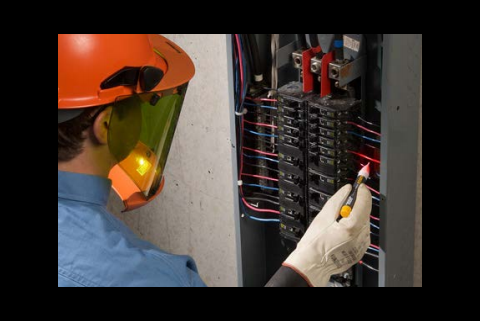 One important factor in our field is the movement of more and more high voltage electricians into the limited energy field. We are in this position but we achieved it by getting a limited energy license first then became an electrical contractor when a key employee became a supervising electrician. As a result we have observed both sides. Although we are both subject to the same NEC & NFPA codes the way we install cable and equipment places us in different worlds. I have seen installers using Romex staples on Category 5 cable thus attenuating the bandwidth to the degree of pressure to which the staple has been smashed into the sheathing. I have seen low voltage cable installed too close to line voltage cable thus acquiring AC induction on DC circuits. 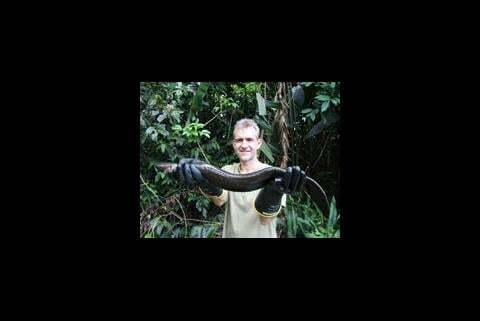 The skill set of installing low voltage cable and devices should be that of gentleness. This alone can reduce the amount of trouble shooting skills you will need after the job is completed.